This past Wednesday, we put the entire Magic 2012 set into the Card Image Gallery. I was going to talk about the cards, but I guess you've seen them all now. Move along, go to the Prerelease tomorrow, nothing to see here. ...Okay, that's not true at all. There's still plenty to talk about! Tomorrow at the Prerelease, you'll be playing Limited. We've spent these two weeks talking about how cool each of these individual cards is, but not as much about what will happen when you start cracking them open in booster packs. The Magic 2012 Limited environment is rather different than the previous two sets in the series, and we crafted it carefully to make it the way it is. Before I get to today's topic though, let's take a quick jaunt through Magic's history. Limited Edition: Alpha was Magic's first core set. It contained exclusively new cards, which is only natural for the first Magic set ever. Limited play of any sort was not yet a standard thing to do, and the set was intended exclusively for Constructed. Although we've come a long way from here, Alpha is a fantastic set, and we think about what it did well often. Many of us consider the three uncut Beta sheets we have on the wall in Ramp;D to be something of a shrine. Later core sets, until very recently, consisted entirely of new combinations of reprinted cards. Until Fifth Edition, Limited play wasn't even a consideration; by Seventh Edition, it was understood that players would try to draft anything, and the sets were being built with semi-serious Limited in mind. The level of sophistication of the Limited environment continued to rise through Tenth Edition, but the "no new cards" restriction put a cap on how sculpted the environment could be. I had the opportunity to play some Tenth Edition Limited this past weekend; although it wasn't bad, it felt rough around the edges. I felt that changing a few numbers and adding a few more interesting rares would have gone a long way to improve it. I'm sure the Tenth Edition developers would agree with me, but they had no such choice. I've worked under these conditions on the Masters Edition III and Masters Edition IV sets; it can be frustrating to know what the card you need would do, but not have the ability to make it. Magic 2010 broke the pattern by having around half the set be entirely new cards. That was progress, as it gave us the ability to fine-tune the set to make it the way we really wanted. My best example of this, unexciting as it is, is Siege Mastodon. There was a point when lead developer Erik Lauer decided that what he needed to make the format work the way he wanted to was a 3/5. We added that to the file, and the set got more fun. I'm sure the Tenth Edition team would have loved to do this, but they couldn't. In Magic 2011, Erik went one step further by adding a splash of scry, a mechanic from Fifth Dawn and Future Sight. Although having a taste of a keyword mechanic added some spice, it was just as important that the keyword mechanic in question have reasonable baseline fantasy flavor. Magical means of seeing and changing the future appear all the time in fantasy fiction and film, so scry was a perfect fit. As a mechanic, scry is the sort of thing that you can write on a few cards without having to worry about the game-play implications much. Magic 2011 is one of my favorite draft environments of all time, and we've gotten feedback from many Magic players that they feel the same way. I don't know how much of the format's quality comes directly from scry, but I'm sure it's not anywhere close to zero. After Magic 2011 was completed, we decided that we liked the flavorful returning mechanic model enough to repeat it. 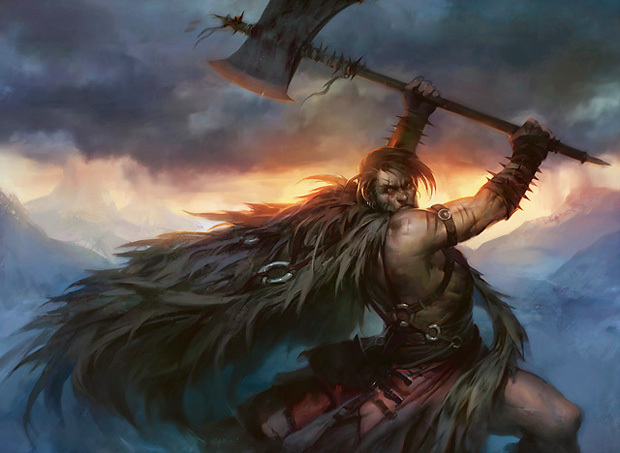 In Magic 2012 design, Mark Globus and his team made an enormous list of mechanics that might work, and chose bloodthirst from among them. I was pleased, as the mechanic's flavor is excellent. I can imagine lots of kinds of things being bloodthirsty; vampires, barbarians, and various predator animals are all natural fits, and these are all things that can be found in fantasy. However, bloodthirst presented a problem that no previous core set has had. Cards with the new mechanic were obviously going to receive plenty of attention, as they are part of what makes the set new. However, bloodthirst cards take a lot more work to make them shine. In a slow format like Rise of the Eldrazi Limited, bloodthirst wouldn't make any sense at all, as your ability to connect for damage in the early game before casting a creature with bloodthirst would be greatly reduced. This brings me to today's topic. 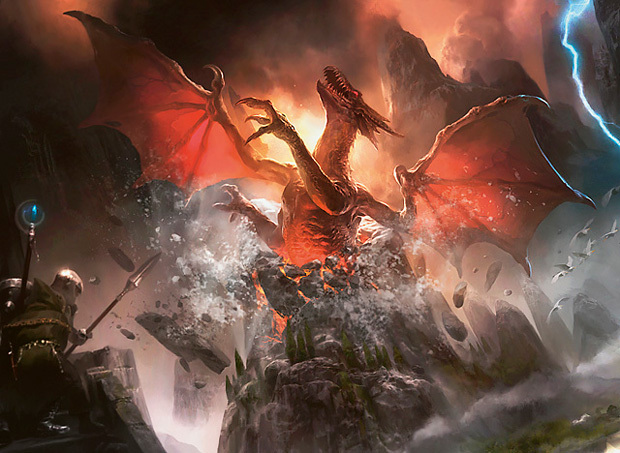 Magic 2012 Limited is a world unlike any other core set, and bloodthirst is the reason why. To make the most of bloodthirst creatures, you're going to need to attack early and often. And, of course, there are cards at common to reward you for doing so. Although there are plenty of commons with bloodthirst that are worth building around, there are also some spicy uncommons that may get you interested in early aggression. There are also some simple cards that are built to get single points of damage through. Cards like this aren't traditionally powerful in Limited. I'm not going to tell you that in this brave new world they are instead all-stars, but I've played multiple copies of both of the above cards in Magic 2012 playtest drafts to success when I had enough bloodthirst creatures for them to enable. There are deeper differences in the format as well, but they still come from the way the rest of the cards are layered together to make bloodthirst actually happen. I mentioned before how Rise of the Eldrazi Limited would not be a friendly place for bloodthirst. The opposite is also true; the faster a format is, the more natural bloodthirst feels there. It should not surprise you, then, to learn that Magic 2012 is fast. How it plays in the real world remains to be seen, but I think it's the fastest core set Limited environment we've ever made. Those of you who have been with us for a while may be looking at me sideways when I say that, as core set Limited has historically been slower than other formats. Mana-intensive cards like Treasure Trove and Looming Shade have been much stronger. Long-term alternative win conditions are also very powerful; I had a Millstone in the Tenth Edition Draft deck I mentioned before, and it won me two-thirds of the games I played with it. Going by current Limited standards, it's not much of a surprise that a new set would play faster than that. Part of the reason that fast formats are fast, though, is usually that the set's mechanics build powerful synergies between early-game cards. Early in the game, the cards are powerful together, but the important difference happens when the game goes long. When there isn't any synergy between your less expensive cards, you end up embarrassed in the late game by an opponent's more expensive cards. When there's a lot of synergy between your cards, the less expensive cards can still do enough in the late game to matter. In Magic 2012, bloodthirst provides just that synergy. That helps aggressive decks keep playing into the late game, which makes them much more appealing to draft. While it's good for the speed of formats to vary over time, we have had issues with formats being too fast. In particular, Zendikar Limited, when played at high levels, is much faster than we were comfortable with. One of my concerns when bloodthirst was handed off to me was that I didn't want to make the format quite that fast, and I wanted people to be able to opt out of having to play a fast game if they wanted to. As it turns out, bloodthirst is perfectly suited for this. If you want to play a slower game, I suggest that you block early and often. Bloodthirst creatures like Bloodrage Vampire and Duskhunter Bat are much stronger with the bloodthirst bonus than they are without it, and just choosing to trade creatures on turn two instead of getting into a race can stop your opponent cold. This is just beginning to scratch the surface of Magic 2012 Limited, though. 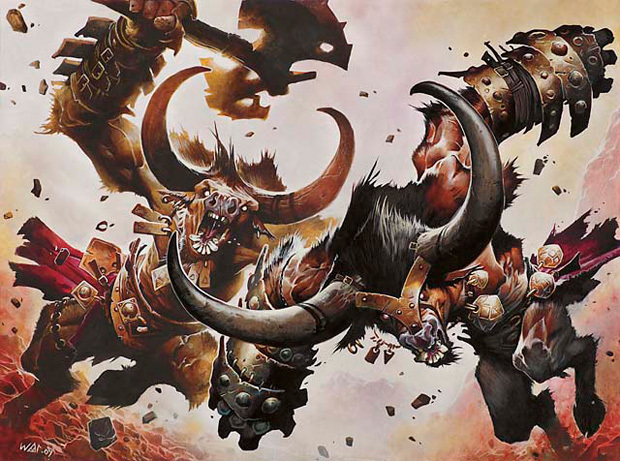 If bloodthirst cards are strong, and blocking is good against them, how much better are combat tricks? When is it right to sideboard in defensive cards like Wall of Torches? I don't know the answers to all these questions, but I bet you don't either. You may have seen all the cards in Magic 2012, but you haven't seen the set working together yet. To see it all in action, you'll just have to go to a Prerelease this weekend. I look forward to hearing how it goes for you. Which of the three new planeswalkers in Magic 2012 is your favorite? 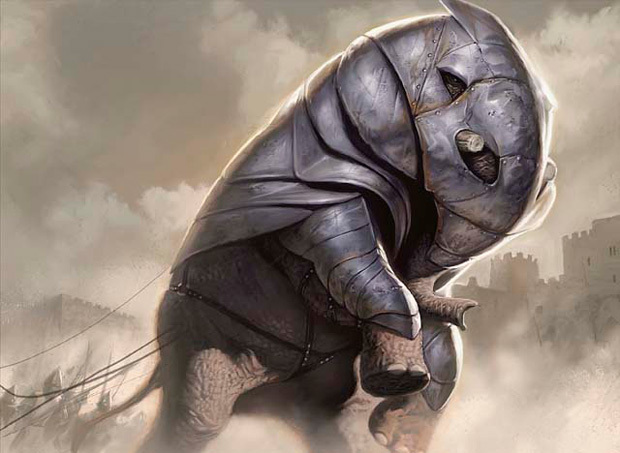 What do you think of Duels of the Planeswalkers 2012? It's awesome! It's good. It's okay. It's bad. It's terrible! I haven't played Duels of the Planeswalkers 2012.